Serious gamers probably found out by now that spending a lot of time at their desks will cause them some gruesome backaches. Thankfully, they won’t have to give up on their passion, they only need to choose a better chair. The perfect chair, actually. The EWin Champion Series Ergonomic Computer Gaming Office Chair with Pillows – CPB might just be it. I personally tested it, and I must admit that I almost wanted to sleep in it too. It’s one of the most comfortable chairs I’ve ever used. After long hours of sitting in it, I didn’t have any of the back problems I normally would after a day of work. The EWin Champion Series Ergonomic Computer Gaming Office Chair with Pillows – CPB is not a small piece of furniture, that’s for sure. I am quite small myself, so I almost was able to hide from the world when sitting in this chair. Not everyone is as small as I am, but even normal size people will sit incredibly comfortable in this chair. It has the perfect shape so it will almost embrace you. Its rounded back will ensure a comfortable position which you can maintain for hours without any problems. The chair is made from high- quality materials so it can be your favourite piece of furniture for a really long time. It has a durable steel frame on top of which you will find a nice thick layer of high-density memory foam. The five- star aluminum base looks good and is quite durable too. A 120mm class- 4 gas lift completes the picture. It can support up to 150kb or 330lbs. The pillows are there to ensure a right posture for your back. 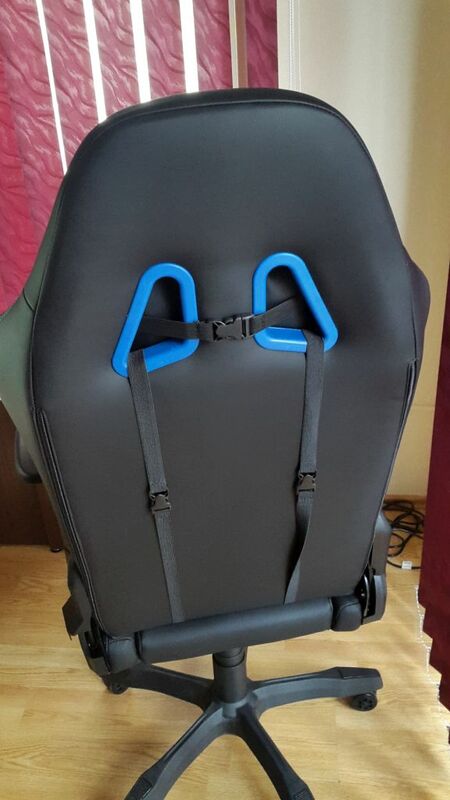 They make the chair very comfortable, so you can forget about the backaches you previously had after a day of work or a longer session of gaming. In order to make the experience even better, everything on the EWin Champion Series Ergonomic Computer Gaming Office Chair with Pillows – CPB is adjustable. 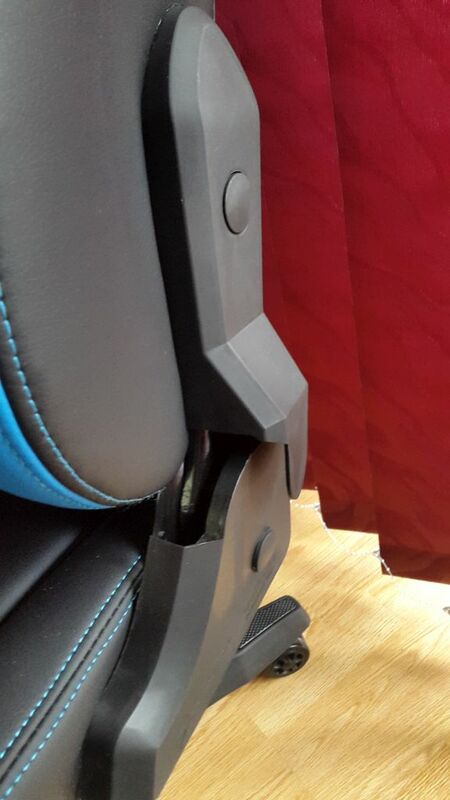 Users can adjust the height of the chair, pull it back, and they can even adjust the armrests’ position by sliding them, rotating them, and raising them. This way, everyone can create the perfect chair for their body. Making all these adjustments is really easy. 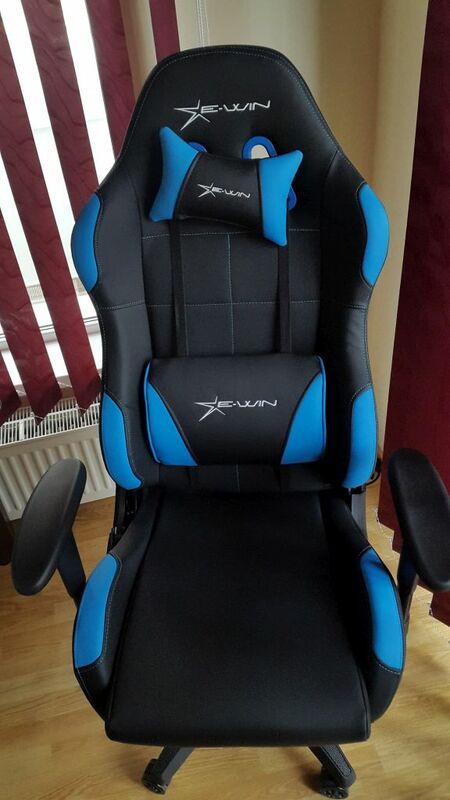 The EWin Champion Series Ergonomic Computer Gaming Office Chair with Pillows – CPB is covered with PU. This makes it feel comfortable and also keeps its price at a reasonable level. The chair only costs $279 right now. Its normal retail price is $349, however, these days you can get it 20% off. Given the level of comfort, it is able to ensure, this is a more than reasonable price to pay for the chair. It is available in a great variety of colors too, so you can insert it to any office or room without it looking completely awkward. This modern chair is available in combinations of black with orange, pink, fuchsia, blue, green, red and white. Every color option looks simply great. Also, shipping is free in the US and EU. From the first time I set in it after assembly, I was taken over by a pleasant feeling of perfect comfort. 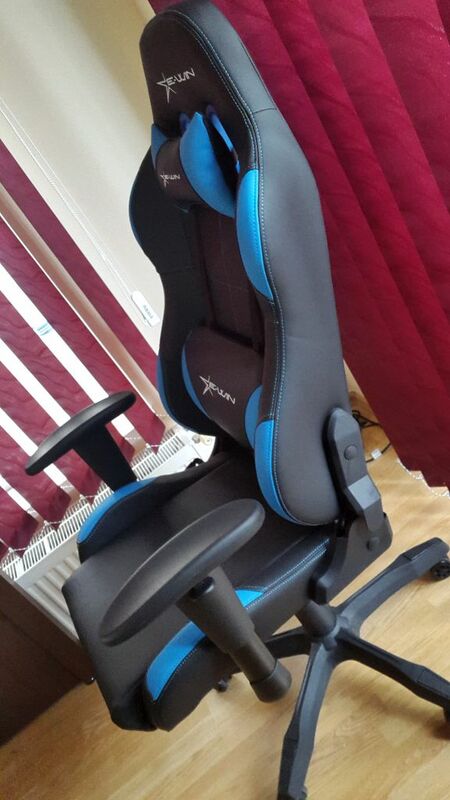 From watching movies to playing games this is the perfect chair. And not to mention for the long our in the office this will fit you perfectly. A must buy. NOTE: This is a review post from Loadthegame.